As aging in place specialists, we want to create home environments for our clients that are safe and accessible – for both them and anyone coming into their homes. There are many ways to approach this and several issues to consider. However, one aspect of aging successfully and safely in the home that is often overlooked is the impact of vision – the sense of sight. As people age, many things can – and often do – happen to affect vision. People develop cataracts, some get age-related macular degeneration (AMD), and there are depth perception, color recognition, and general visual acuity issues (why people over the age of forty begin wearing cheaters or reading glasses). Actually, this phenomenon of needing magnification for reading what used to be comfortable for us to see has a fancy medical name – “presbyopia.” It has nothing to do with religion even though it may sound like it does. Actually, as frustrating as it might be to need glasses to see and read what was normal just a short time earlier (for those not already requiring corrective lenses), it’s because the lens of the eye has become less flexible. There’s nothing we can do – like exercises or diet – that will keep this from happening. It happens sooner or later with everyone. This means that our eyes can’t refocus from what we are looking at farther away to those much closer, like words on a page. A similar issue develops at about this time also and that is the inability for our eyes to adjust to bright or dim light. Normally, when we look at something bright – the sun, a lightbulb, reflected glare, or anything projecting a strong amount of light – our eyes (the iris in our eyes) closes down to keep more light than we need to see from coming into our eyes and causing distortion or discomfort. As we age, we lose this natural ability. Similarly, the muscles in our eyes that control this aperture become weaker and don’t open as rapidly or as much to let more light in when we are in a dimly lit area. 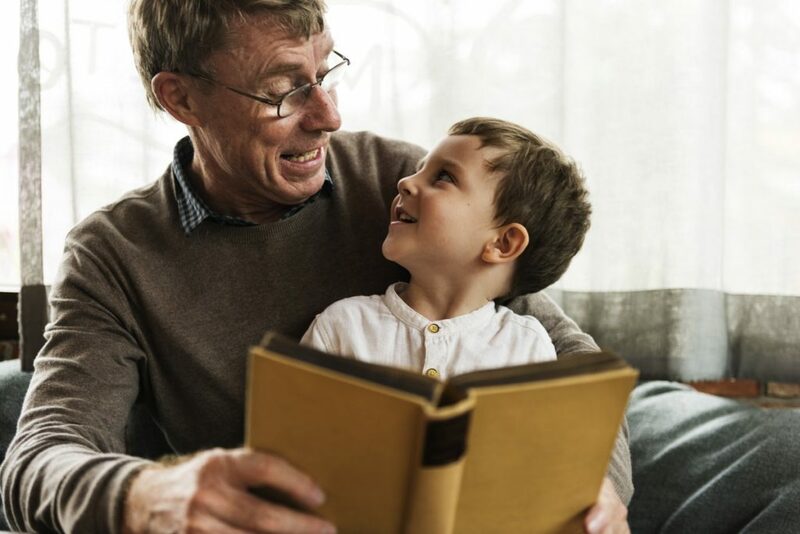 It is thought that older adults require as much as three to four times more light to read, see in a room, and do other customary activities indoors that they did years earlier. For equipping a kitchen, bathroom, sitting room, or any other of the home where people need to see well and comfortably without straining, a much higher amount of lighting is required. This can be through the number of lighting fixtures (lamps, recessed ceiling cans, task lighting, or indirect lighting sources as well as a higher lumen count). Like so many physical changes that we can observe as we age – balance, vision, and hearing, for instance – medication plays a large part in this. Certain medications make our eyes more sensitive to light. Cataracts, a thickening of this same lens of the eyes, can hamper vision in two ways. First, it can make it harder to see, requiring more effort, because the lens of the eyes have become cloudy. It is more difficult to see objects clearly. Secondly, this thickening produces a yellowing of images that we look at – similar to wearing yellow-tinted glasses all the time. Not all colors are affected, but some change dramatically. Color blindness, for those so affected, can change a person’s appreciation of their environment also. This is not age-related but a design concern nonetheless. As we plan for aging in place improvements for our clients, vision issues can be taken into account by adding more lighting to hallways, passageways, and stairways to eliminate shadows that can conceal objects that could present tripping or contact issues or to help prevent a misstep. We also should put more lighting in the kitchen to keep people safer while performing normal kitchen functions – typically this area requires more types of lighting in more places and at a higher intensity than any other room in the home due to the number of activities that can occur in the kitchen. Bathrooms are considered the most dangerous area in the home due to the severity of accidents that occur there. More lighting here is a must to illuminate that space – especially the shower area. Other safety measures that we can for are using sufficient areas of contrast to differentiate changes in surfaces so that it is easy to tell where one stops and another begins. Eliminating visual confusion, clutter, and over-stimulation is a related visual safety issue that can cause people to trip, run into objects, or become confused in a space – whether this is their home or they are visiting the home of a friend, neighbor, or family member. Being able to see well in a home – even with limited vision – is important for safety and comfort in that space. We want people to be able to navigate their home well, and accounting for vision changes and limitations helps us do this.